Hi everyone! If you’ve noticed… It is November and the weather is just going to get cooler from here on out. Today I put together a Fall to Winter Wish List with SheIn.com to show you some pieces that will work from the fall through winter… and, some of these are winter only pieces (such as the sweater and coat). Also, all of these pieces are either gray or black, so they’ll all work together! Black Sleeveless Tassel A-Line Dress – This dress has so many possibilities, with it being sleeveless you could tuck a long sleeved shirt under it, you could wear it with boots or high heels for a night out. It could definitely be dressed up or down. Black Fur Embellished Chain Satchel Bag – When I think of winter, I think of fur pieces. This simple bag would be a great accessory piece to mix and match with your winter outfits. Black White Long Sleeve Plaid Belt Coat – Everyone needs a statement coat, one that stands out a little and that meets the latest trends of the season. This is one of my absolute favorites on the wish list! Grey Long Sleeve Contrast Lace Knit Sweater – Ok, this is my other favorite on this wish list (as in, I need to buy it right now! 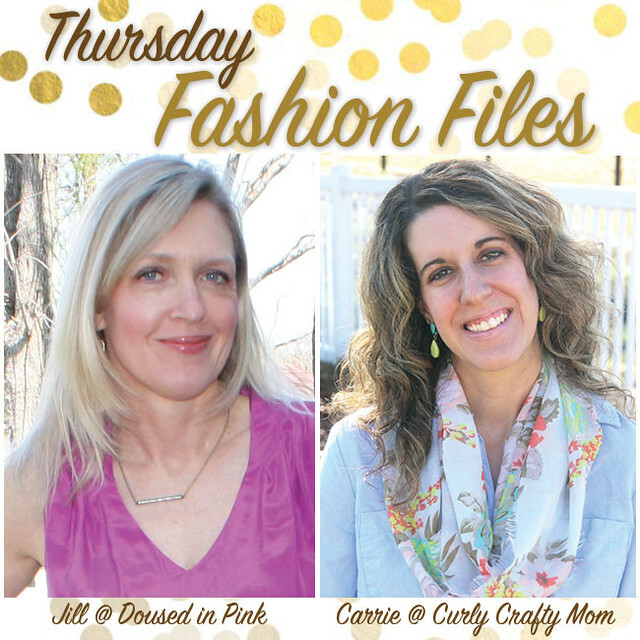 )… I have been seeing so many other bloggers with lace lined sweaters and this is a good one! Grey Chunky Heel Zipper High Boots – I really need some gray boots… and, these ones have fringe on them, which I don’t have a pair with fringe yet. Black Skinny Cut-out Leggings – I have been wanting a pair of black cut-out leggings and these look comfortable and stylish. Grey Mock Neck Dip Hem Sweater – This sweater is perfect for cooler fall days, because it has a mock neck and then you can layer over it for the winter. I really like the chunkiness of it and how it dips in the back (perfect for leggings!). 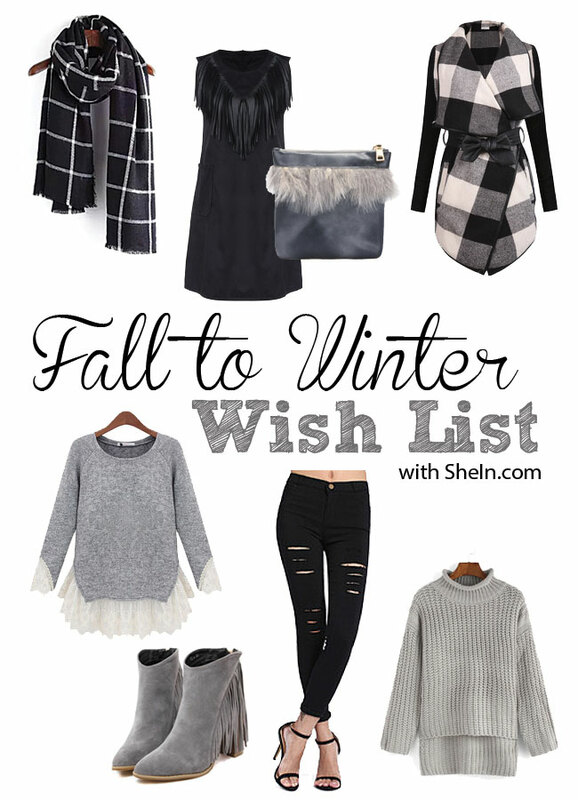 I hope you all enjoyed my Fall to Winter Wish List with SheIn.com! If you are looking for high-quality clothing at affordable prices, be sure to check out SheIn.com. My pick this week is Jalynn from The Red Closet Diary wearing this gorgeous white dress, with a fur vest, leggings and boots in the fall. I always enjoy seeing white dresses, pants, etc. in the fall!